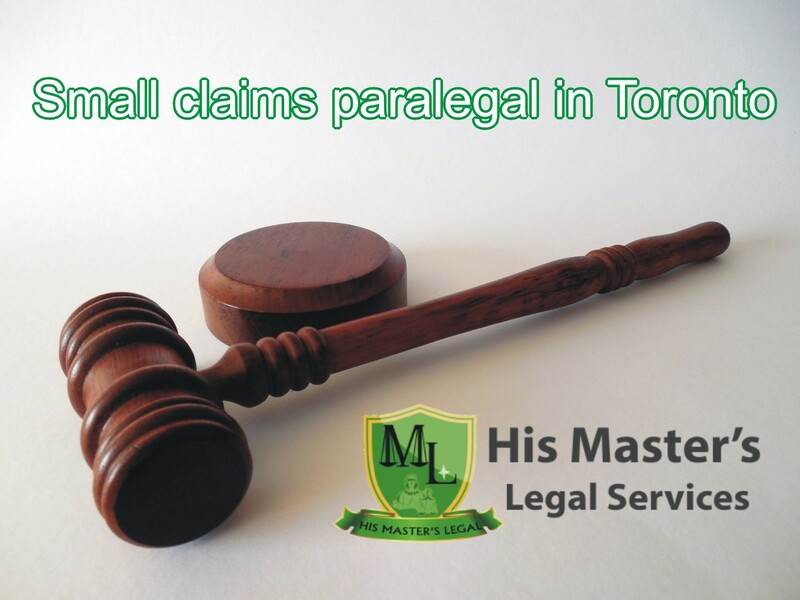 Most people think that they might not need a paralegal for a small claims court case, but our Small claims paralegal in Toronto at masters legal have always emphasized the importance of having a paralegal even for your small claims court case. At times when your opponent is represented by a Paralegals and you are not, or if you want success, without having any objections from the judge and you want to proceed to have all the legal advice and guidance then you should seek the help of small claims court paralegal. Why you should file a court case for small claims? It totally depends on the situation at times you will have to file a court case for the matter to get solved. With the extensive experience and expertise, our Small claims paralegal in Toronto will help you with your small claims case. There might be different types of small claim cases based on the type of claim. The very main purpose of small claims court is to hear and solve disputes involving amounts of money up to $25,000.00. Usually, small claims court procedures are simple, inexpensive, quick, and informal. Most of the time people who appear in small claims court present their own case and don’t have a Paralegals, but it is always advisable to seek help from a legal consultant to prepare yourself if you are going to present your case by yourself. If you are filing a lawsuit in small claims court you can seek legal help of our Small claims paralegal in Toronto, before you present yourself in court. For more information on small claims court case contact us today.